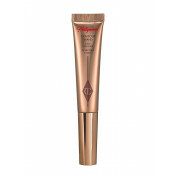 Darlings, this has luxurious application & a premium look! 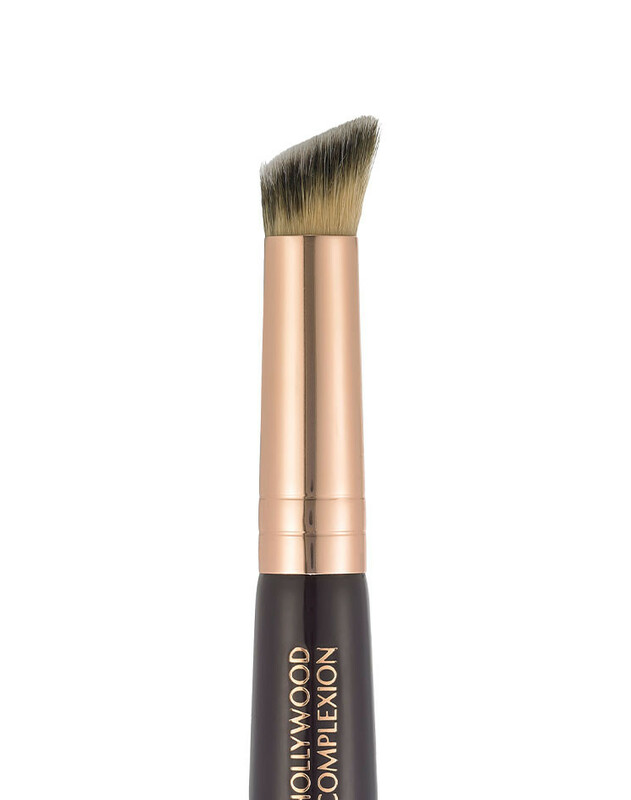 My Hollywood Complexion Brush is a fabulous 2-in-1 multi-purpose makeup contour brush with advanced synthetic fibres, perfect for effortlessly blending your contour. • The angled small head is perfect for precise contouring, as well as concealing under the eyes, around the nose or small curvatures of the face. Give yourself a Hollywood makeover with the entire collection. This product is made with synthetic bristles. 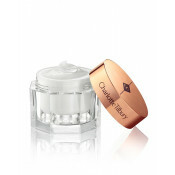 It is vegan-friendly, gluten-free, paraben-free, sulfate-free, and not tested on animals. 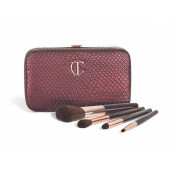 Charlotte Tilbury Makeup Brush - Contour is rated 4.7 out of 5 by 75. Rated 5 out of 5 by MPMLJ from Amazing brush I’m a pro makeup artist and got this brush as a gift from Charlotte Tilbury. It’s one of those rare exceptionally good foundation brushes. 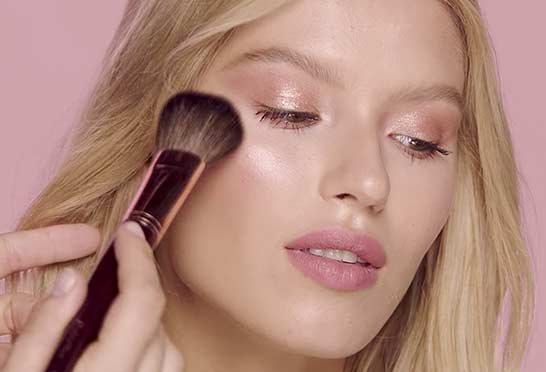 It does not shed and picks up the product perfectly - you only need a small drop of foundation to cover a very large area with a thin and perfectly even layer. It works the best with liquid foundations, especially runny ones. It’s an amazing double-sided brush, but oh boy, how I wish these were two separate brushes with long handles, I’d buy ten of them! Due to the small size and double-sidedness, it’s impossible to store the brush in a cup or in the pockets of a brush belt. That’s the only issue. 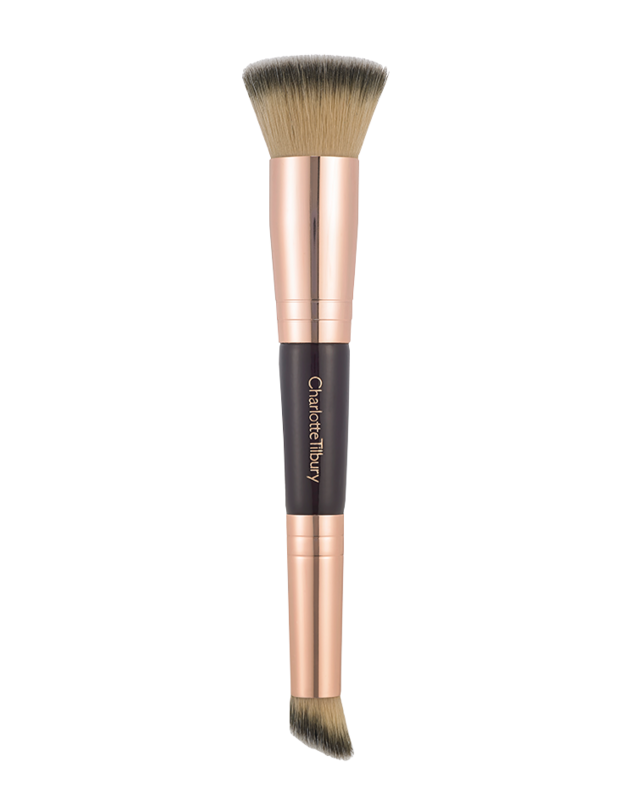 Overall, it’s an amazing brush and a must-have for any makeup lover! Rated 5 out of 5 by Bianka from Small brush with soft bristles, great for travels! 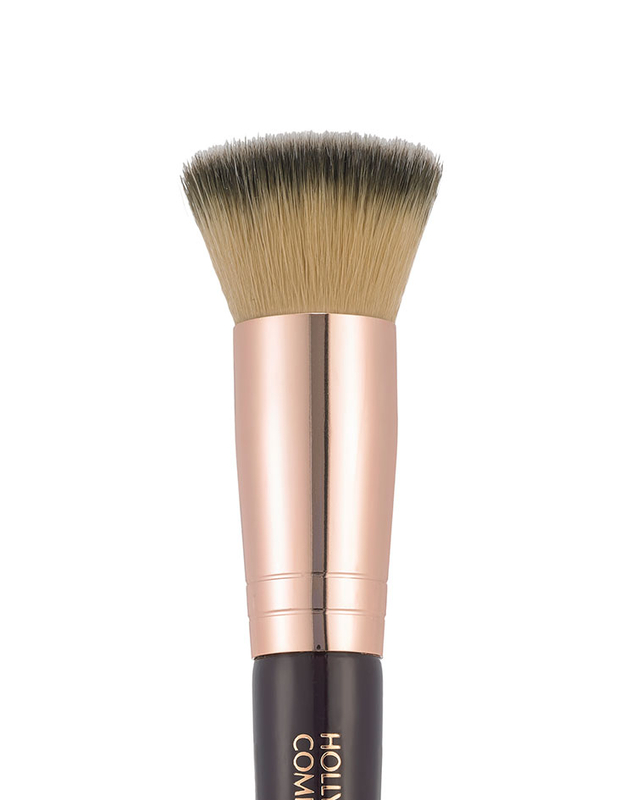 The brush is 13,5 cm long and quite light, thus makes a great portable tool to apply makeup. I thought the bristles will be more stiff and densly packed, and was afraid it would pull my skin when applying foundation. Happily, they're very soft and perfectly dense to buff it in. I found it difficult to find an info about the size of the larger brush head, so I thought I mention that it's 2 cm high, and has a diameter of 2,8 cm in the widest part. I love this brush and it has become my best friend! Rated 5 out of 5 by MissFrench from Perfect for cream products and foundation I'd never really liked my cream blushes until now. This brush makes them go on like a dream! Absolutely fantastic brush. You won't be disappointed! Rated 5 out of 5 by NatashaReviews from HG brush for foundation/creams This brush has replaced every other brush i've ever used for foundation, concealers, and cream products. 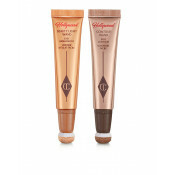 It's the perfect size to buff foundation into the skin, and the smaller end is fantastic for concealer. I don't even use a beauty blender anymore, just this brush. AND IT DOESN'T SHED! It's a must-own ladies. Rated 5 out of 5 by Hels74 from Fantastic brush I too bought this the day it came out and I couldn't be happier with it. I use it to apply the magic foundation and it blends it in beautifully. Great product and I shall be buying more brushes from Charlottes range in the near future. Rated 5 out of 5 by Natasha from Very versatile. Using it for everything I'm in love with this brush. Blends the foundation flawlessly. So versatile I use it to contour and highlight as well. The good thing about this brush is that it doesn't soak ip too much product.